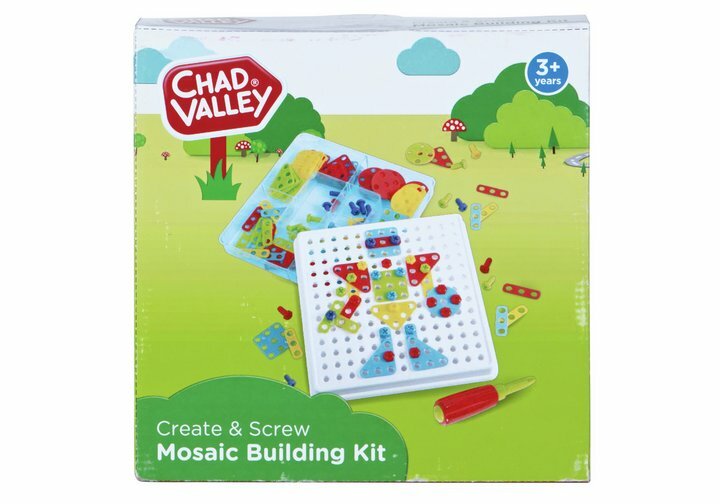 Use the pieces from the Chad Valley PlaySmart Create & Screw Mosaic Building Kit to stimulate imagination and create cool flat or 3D shapes and patterns. The kit is ideal for developing creativity and co-ordination skills in an imaginative manner. Get money off with April 2019 free Argos voucher codes, see if there's a discount code for the Chad Valley PlaySmart Create & Screw Mosaic Building Kit product.